Vatican City (Agenzia Fides) – The Holy Father Benedict XVI, on 15 February 2011, accepted the resignation from the pastoral care of the diocese of Mongu (Zambia), presented by Bishop Paul Duffy, O.M.I., in conformity with Canon 401 § 1 of the Code of Canon Law. The Holy Father nominated as Bishop of Mongu (Zambia), Father Evans Chinyama Chinyemba, O.M.I., superior of the delegation of Oblates of Mary Immaculate in Zambia. Fr Evans Chinyama Chinyemba, O.M.I., was born on 9 August 1967 in Lukulu, which was then part of the Diocese of Livingstone and is now part of Mongu. He completed his primary and secondary schooling in Lukulu, first with the Christian Brothers and then at a state school. In 1991 he began the Pre-novitiate with the Oblates of Mary Immaculate (United States Province). After completing the Novitiate in South Africa, he travelled to Rome, where he received his baccalaureate in philosophy and theology at the Pontifical Gregorian University. He made his perpetual vows as an Oblate of Mary Immaculate on 6 January 1999 and was ordained a priest in Lukulu on 19 August 2000, during the Great Jubilee. After ordination, he served in the following ministries: 2000-2009: Director of the Pre-novitiate of the Oblates of Mary Immaculate of Lusaka; 2005-2009: Vicar Superior of the O.M.I. Delegation in Zambia, pastor of St Leopoldo in Shang’ombo, Diocese of Mongu (August-December 2009). Since 2009 he has been the Superior of the O.M.I. Delegation in Zambia. The first SMA missionaries, Fathers Sexton Doran and Michael Igoe, arrived in Zambia on 17 January 1973 at the request of Bishop Nichola Agnozzi OFM Conv of Ndola diocese. Later that year they were joined by Fathers P J Gormley, Michael O’Shea and Benno Wolff. They formed part of a Teacher / Pastoral team, i.e. the latter three were employed in the Government Schools and their salaries would help to maintain all 5 in their pastoral work in parishes of Ndola diocese. PJ and Michael taught in a Secondary School and Benno (RIP) taught in a Government Teacher Training College. Two of those pioneers, P J Gormley and Michael O’Shea, are still in Zambia – PJ in parish work and Michael teaches in the Mpima Major seminary. Today, the SMA team ministers in both the Archdiocese of Lusaka and the diocese of Ndola. Two SMA priests are on the staff of the Mpima Major seminary involved in the training of diocesan clergy. 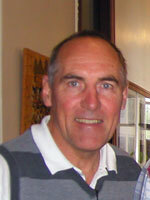 Fr Anthony Kelly SMA (pictured), from Ahascragh, Co Galway, is the Regional Superior for the 20 strong SMA team.